Boot washing station with firm bristled boot wash brushes and pre-plumbed knee operated wash basin. 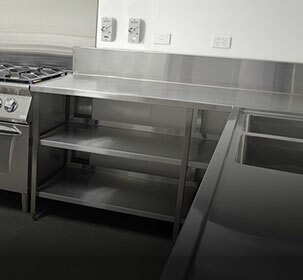 The BRITEX Stainless Steel Boot Wash Station is designed to avoid transfer of potentially harmful substances in Abattoirs, Quarantine Areas, Hatcheries and Agricultural Facilities. 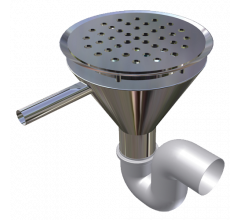 The basin spout is activated by the user leaning against the front push panel, eliminating the need for electronic / mains powered sensor tapware in areas where avoiding crosscontamination is paramount. 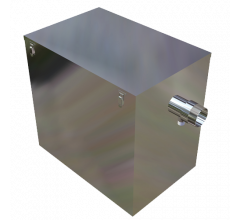 Once the panel is engaged, water will flow for approximately 8 seconds. 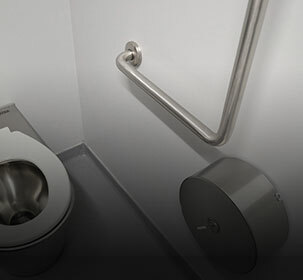 Alternatively, the user can keep water flowing by continuing to lean on the push panel. The water spray feature on the boot washing brush is activated by pushing the button on the right hand side of the push panel. 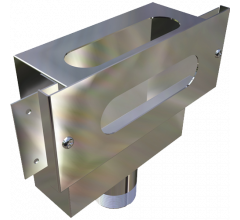 On activation, the water volume is adjustable (flow time from 5 seconds to 5 minutes) by turning a grub screw on an integrated solenoid valve. 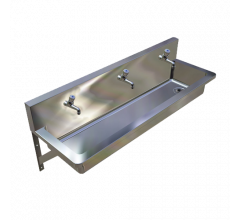 Manufactured from durable 1.2mm grade 304 S.S. the Boot Wash Station also incorporates a hinged foot grate for easy cleaning and a high splashback on three sides of the basin.